What's All The Buzz About Microneedling? So what exactly is this "microneedling" treatment, anyway? Well, its a no downtime treatment that causes your skin to start actually ACTING younger! Microneedling is a corrective treatment that stimulates your skin's natural ability to produce new collagen and elastin, showing you healthier, younger looking skin. It works by creating thousands of micro-channels in the skin using fine needles. Triggering your body's own natural wound-healing response, your skin starts to fill these microscopic channels by producing new collagen and elastin. It is remarkably effective for lines and wrinkles, pore size, scarring, and skin laxity. Microneedling is best in a series of 3-6 treatments, spaced about 4 weeks apart. Although results are visible after one or two treatments, you will continue to see significant improvement as time goes on, as collagen and elastin regeneration will continue for at least a year after your last treatment. A topical numbing cream is applied prior to the treatment for comfort, and the treatment only takes about 30 minutes. 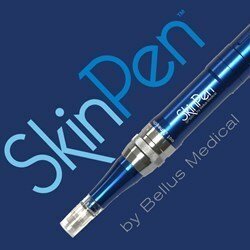 We, here at Mountcastle Medical Spa & Laser Center, are utilizing the SkinPen! Click here to watch as our Medical Aesthecian, Maria, demonstrates! 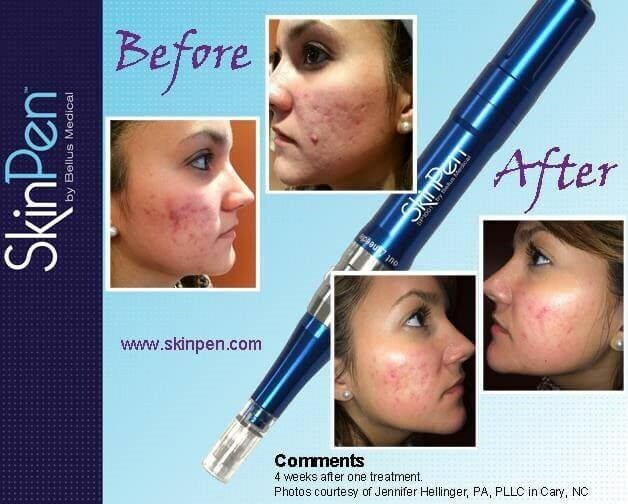 Ragan says: "I LOVE microneedling! There is no downtime, and I love that I can tailor the treatment by increasing the depth or number of passes based on each of my client's areas of concern. Client's love that we can even treat lip lines, and the under eye area where many of us have concerns with fine lines, crepiness, and dark circles.